So it turns out… peeps apparently like to write books about me too. Well, sort of. It’s interesting that none of these books are actually written biographies… nor even uber or slash fanfic… they’re more like collections of quotations and anecdotes. This is kind of cool in that you get primary sources for the stories. But I think it’s also problematic. Memories are inaccurate. Peeps invent perspectives to fit their own agenda. And while some might occasionally be cruel, even more often they’re too nice to me. The stuff Bibbe Hansen says about me is so sweet it makes me cry. But I can’t imagine anybody really felt that way at the time. I think it’s more like being considerate of the poor dead girl. I won’t “review” these books, but YOU can! If you have thought about any of them, or know of others, please shout out in the comments below! I won’t review these books. It’d be too hard to be unbiased. And honestly, also too painful. I’ll just say that in addition to being quotation based rather than something truly authored, they’re also all linear. They start with my agonizing childhood and end with my descent into addiction. Then on the last page you get the lovely news that I died because I was so stoned that I suffocated in bed, face down in a pillow, lying next to my sleeping husband. Writers often begin stories in medias res because they think it’s too boring to start at the beginning. I’m convinced that my story needs to end in medias res. Everybody dies. Even at a ripe old age death is still sad. Everybody dies, but not everybody truly lives. I learned in my Warhol MOOC essay Teatime on Mars that in each of the 42 parallel universes I’ve visited in the 42 years since my death, sadly, I always die young. But that it’s only the universes where I meet Andy that I ever really live. 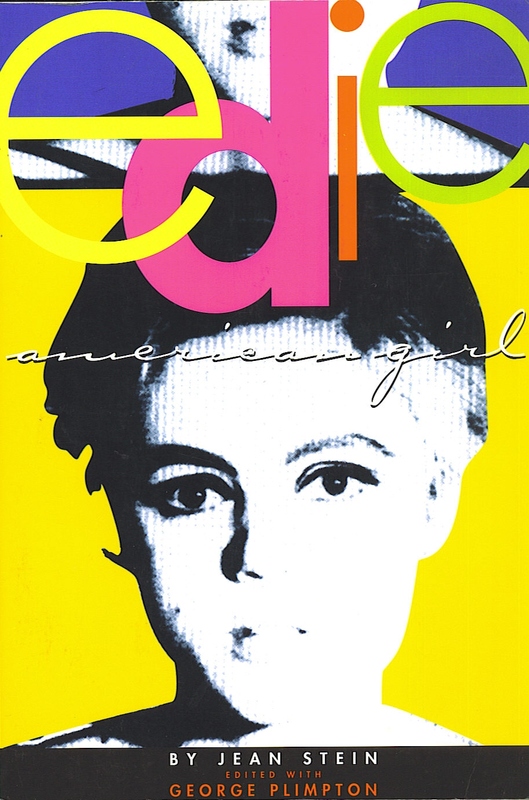 In Andy Warhol & the Superstar Girl I argued that like the film stories of Butch Cassidy & the Sundance Kid or Thelma and Louise, my story shouldn’t end on the sad carnage, but on palpably alive moments that preceded it. 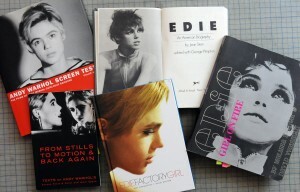 So that’s the Edie book or film I’m still waiting for. A group of Andy’s filmmaker offshoots were making Ciao! 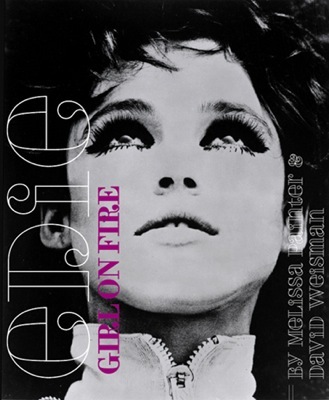 Manhattan with Edie, a movie that later butchered and embarrassed the whole sixties period. They wanted me to design some costumes to be used in an LSD scene. For the hallucination sequence I made bizarre Martha Graham type net numbers with buckram appendages sticking out all over them. My fitting model for the guys’ costumes was the hotel receptionist, a tall, thin, ver proper gent but he loved getting into my second skin outfit with strange attachments and silver buckles all over it. We would dress up in the costumes, sit sedately in the lobby of the Chelsea and wait for reactions from the residents. Hardly anybody noticed. I really love Callie Angell’s book. And From Stills to Motion and Back Again is such a sweet little thing. I can’t believe Lisa Dillon Edgitt actually transcribed all the barely audible stuff I said in Outer and Inner Space! I can’t really say about the other books and movies. Some really nice people put an awful lot of time in on them. They’re mostly painful for me now. More bitter than sweet. And they aren’t really the way I choose to understand things today with the luxury of hindsight. Perhaps you will find them useful. 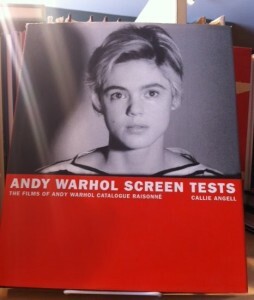 But maybe start with Callie Angell or Stills to Motion. I can’t keep up with you, Edie! For a dead girl, you sure get around. Thank you for doing up this media post. I had heard Edie was terrific in Ciao! 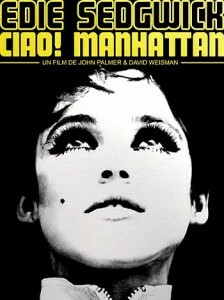 Manhattan, but I didn’t know the film was not one of Warhol’s. 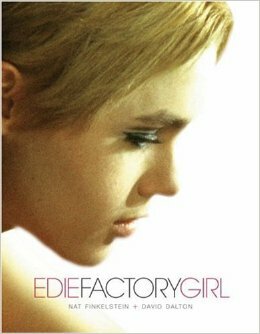 And I really like Guy Pearce, so I’ll have to check out Factory Girl now. Who knows, your apparition may still be leading me around the fascinating world of Edie and Andy’s factory life for years to come. I loved the Edie eye makeup video from your other post, btw. Got through about half of it and am now looking forward to seeing the rest of it, as well as all of the other videos in that post. You are all over the 3 library books I borrowed. 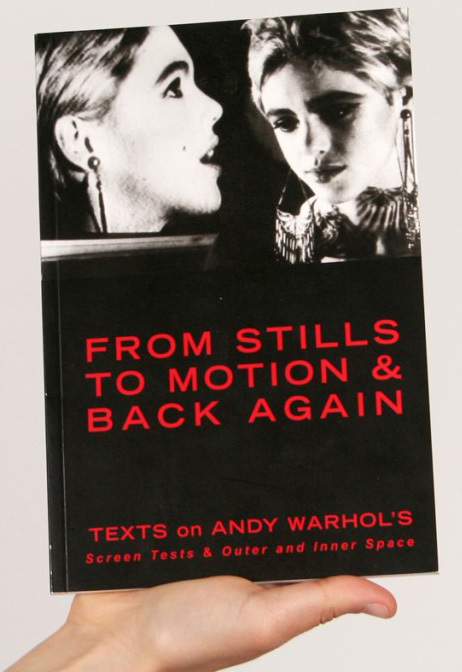 You grace the rear inside cover of Steven Watson’s “Factory Made: Warhol in the Sixties” in a photo of you on a pay phone hanging from a light colored brick wall, probably part of the Factory’s interior. And those eyes…oh my!! aww, scrum, you’re just the sweetest thing! I did get around quite a bit in my, uh, “corporeal” days… but yes… incorporeality does allow for a lot of travel! 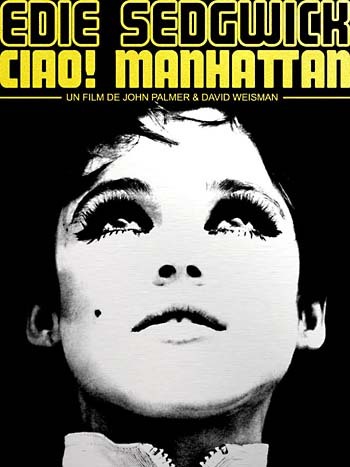 As for movies… uggh… I’m probably a bad person to talk about Ciao Manhattan or Factory Girl, I guess that’s why I didn’t review them. I might suggest watching Outer and Inner Space, Beauty No. 2, or perhaps Poor Little Rich Girl. I’m sure you’ve already seen my 1965 Screen Test, my Avatar Screen Test, and my Posthumous Screen Test. Thanks so much for visiting me scrum!